When we first decided to go to the Maldives for our honeymoon, the number of beautiful island resorts was overwhelming. So many resorts had great reviews on TripAdvisor that it was really hard to narrow down our options. Here are some things to consider when you are planning your trip to paradise! Try to schedule your flight to arrive in the morning or early afternoon at Male International Airport. This is important when you have to transfer to your resort by seaplane or speedboat. 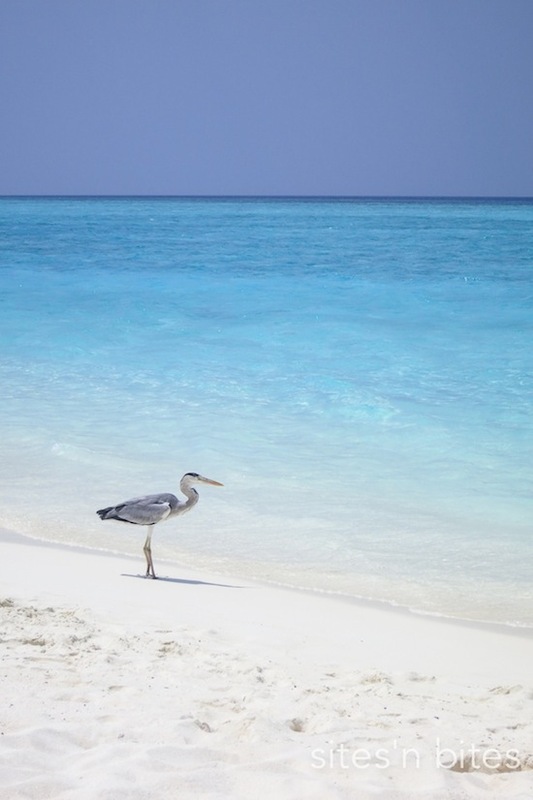 FYI: For the Maldives, pre-arrival Visas are not required! If you arrive past 3PM and you have to transfer to a seaplane, you may have to stay the night in Male as seaplanes do not fly at night. Please check with your resort and also Maldivian Air Taxi, the main seaplane operator in the Maldives. The first thing we did to narrow our resort search is to decide the mode of transportation from Male International Airport. 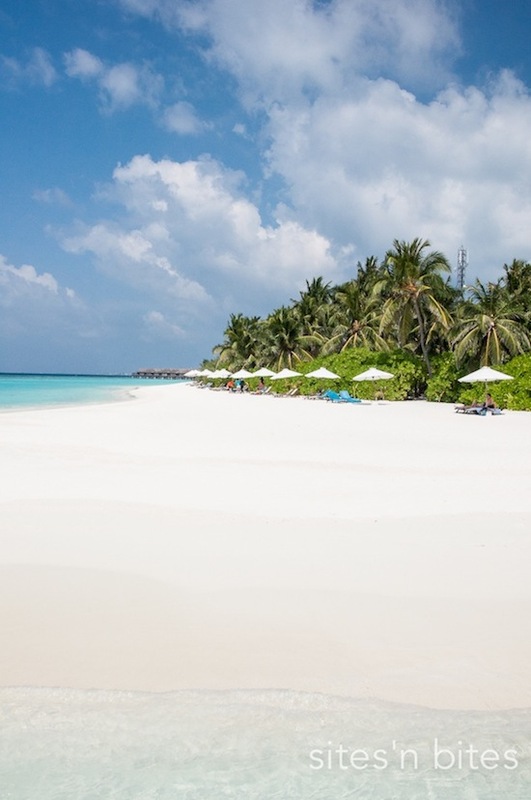 We loved how Velassaru Maldives was only 30 minutes away from Male International Airport by speedboat and we were excited to soak as much beach time as possible within 3 days. Maldives is known to be the destination for honeymoons and romantic getaways. Most resorts are child friendly, but there are some “couples-only” resorts. There are numerous articles highlighting family-friendly resorts in the Maldives and check with the resort. Take the stress out of planning out accommodations, meals and activities. Special honeymoon packages, ranging from all-inclusive to customizable experiences, are available on resort websites making your special vacation unforgettable. Book your stay in May to June, the shoulder season, where accommodations may drop over 50%. If it rains, it quickly passes. 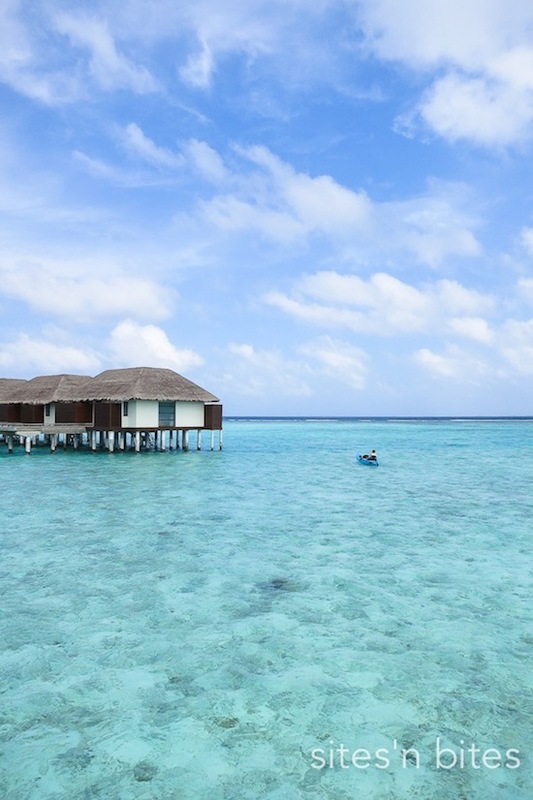 If you are planning to go during peak season, book 1 or 2 nights in a water bungalow/water villa for the overwater accommodation experience, but for the remaining nights book beach or poolside accommodations. Read more about our experience at Velassaru Maldives resort (click here) and Velassaru Water Villa (click here). Jen is the co-founder of Sites’n Bites, a site dedicated to sharing travel and food experiences while residing in Ho Chi Minh City, Vietnam. Follow the Canadian American husband and wife duo on Twitter and Instagram as they capture gorgeous landscapes and delectable dishes.